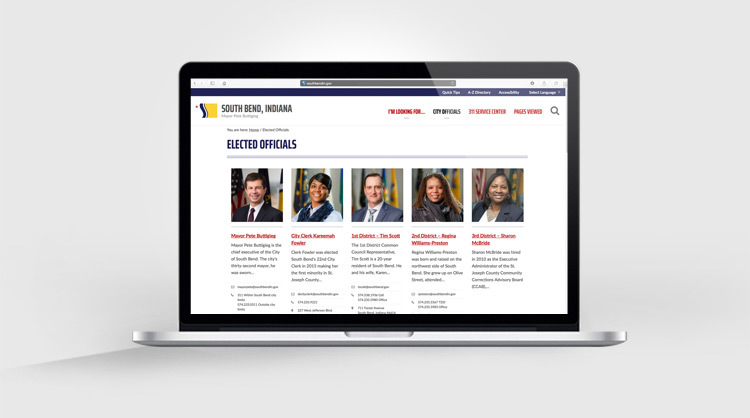 The City Clerk is the Clerk of the South Bend Common Council. The Clerk is elected by the voters of the entire City. 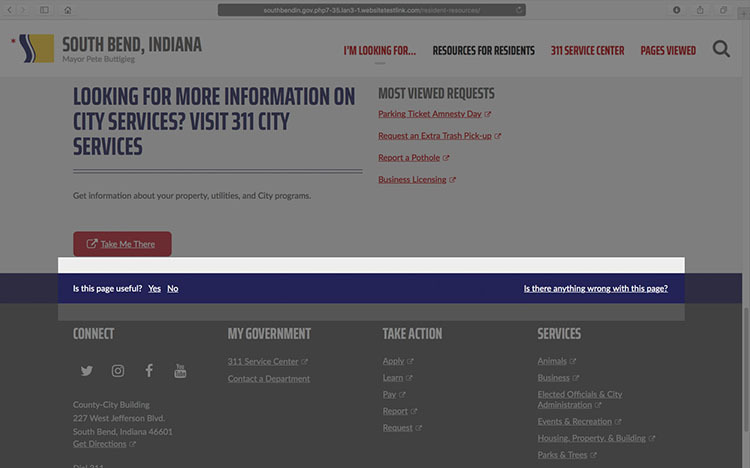 The City Clerk's official functions are set forth in Chapter Thirty-Six (36) of the Indiana Code. The City Clerk, and as many staff members as he or she determines necessary, provides City Council staff support, attends all regular and special meetings of the Council; and is required to keep an accurate journal of all such proceedings. Required to maintain the City Seal and administer City oaths. 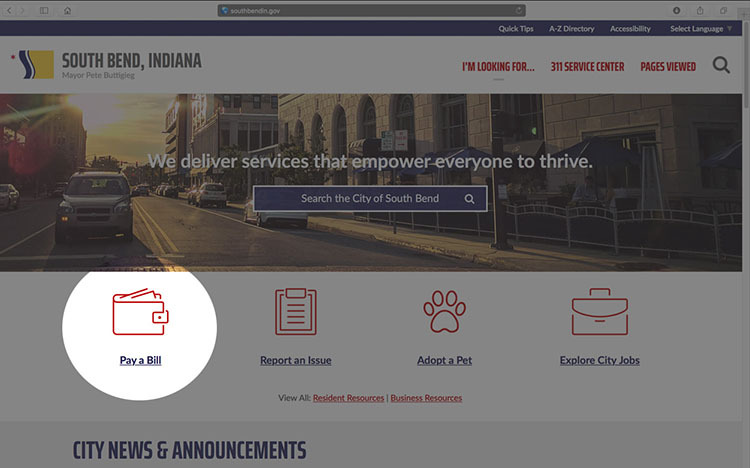 Maintains custody, controls filings and storage of all legislation papers, minutes and other written and recorded documents pertaining to the operation of City government. Oversees the entire legislative process, from the introduction to final approval and publication. Prepares agendas and legal notices for all Council meetings. Schedules official City Council meetings and public hearings. 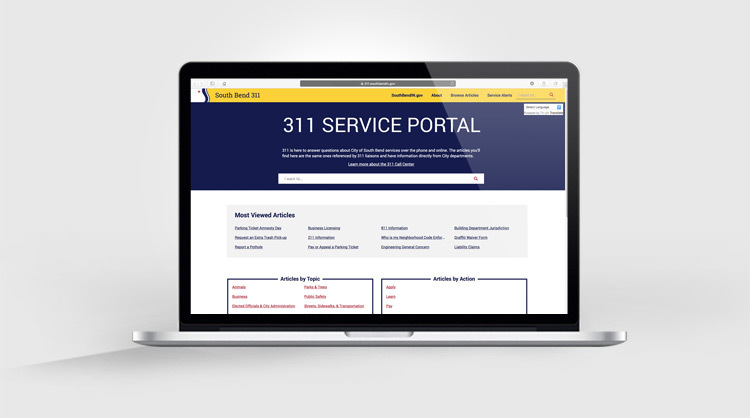 Acts as a liaison with City Department Heads, Outside agencies, Other branches of government, and the general public on behalf of the City Council and works closely with the Council to supply combined constituent services. 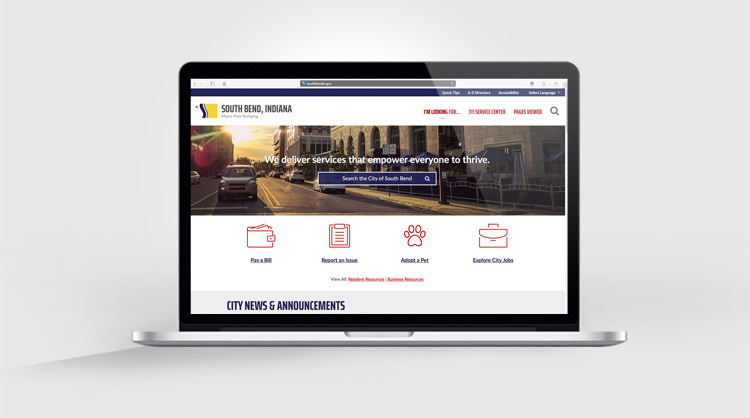 Responsible for the publication, updating and distribution of the South Bend Code of Ordinances . Works in cooperation with the Office of the Mayor for live broadcasting through WNIT of City Council meetings. Processing of City Boards and Commissions. Responsible for all functions of the City Ordinance Violations Bureau. Issuance of Conditional Use Lawn Parking Permits (ND Lawn Parking) and Scrap Metal Licenses. Administers City of South Bend Amnesty Program. 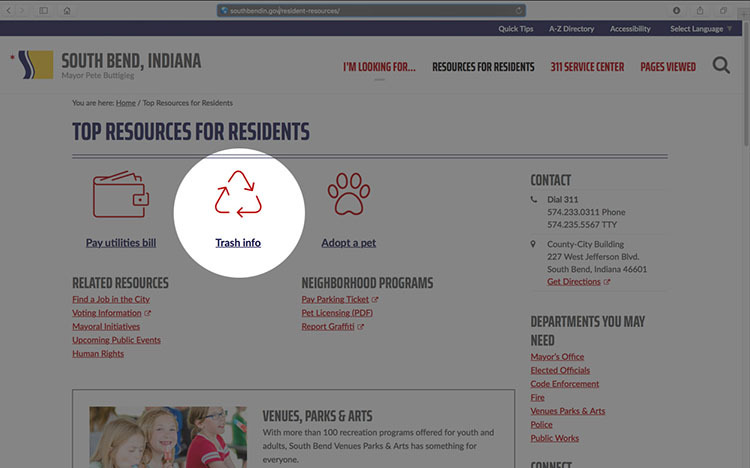 Has available upon request for public reference and distribution the following documents: Copies of all transcripts, legislation, certificates, meeting notices, Council minutes, and any other matters of public information. For all groups and presenters who wish to be recognized at the Common Council Meetings please check in with the City Clerk’s Office beforehand. Jennifer Coffman serves as the chief deputy clerk and director of operations for the Clerk’s Office. 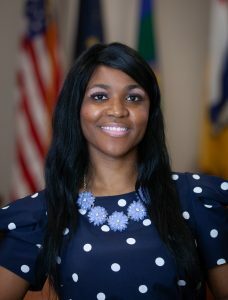 Jennifer serves as the administrative arm of the clerk’s office, working to advance the Clerk’s vision of an open, honest and transparent municipal government by ensuring the preparation and maintenance of records pertaining to the business conducted by Common Council members. She also serves as the fiscal officer and oversees all personnel and Human Resource related activities for the Clerk’s Office and the Common Council. Jennifer earned her Bachelor of Arts degree from Manchester University, where she studied political science and history. She earned a Master of Public Affairs from Indiana University-Purdue University, Fort Wayne, with a concentration in Public Management. In 2015, Jennifer returned to her alma mater, Manchester University, to teach classes focused on American national politics and public policy. She previously managed campaigns at the congressional and municipal levels, where she oversaw strategy, fundraising, media relations, and community involvement in South Bend and the surrounding area. Bianca Tirado serves as the deputy clerk and director of policy. Bianca overseas the legal compliance process, and legislative policy management of the Clerk’s office. A Chicago native and raised in South Bend, Bianca graduated from Riley High School before earning a Bachelor of Arts degree in African and African American Diaspora Studies at Indiana University. Bianca previously served as Honors Advisor for the American Honors Program at Ivy Tech Community College. She also served as Assistant Director for the Office of Student Involvement and Multicultural services at Saint Mary’s College where she oversaw diversity and inclusion policies within student affairs. Joe Molnar serves as the ordinance violations bureau clerk. Joe is accountable to the City Clerk for all Ordinance Violation transactions and functions governed under City Municipal and State Code. He processes and collects payment for tickets issued by all departments and individuals commissioned in the City. 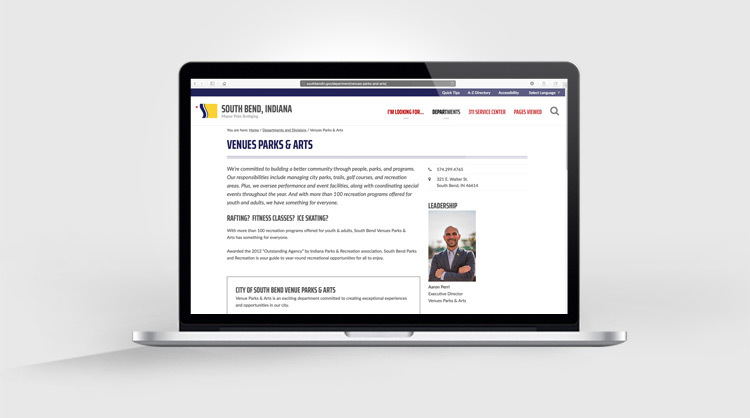 Born and raised in South Bend, Joe graduated from Marian High School before earning his Bachelor of Arts degree from the University of Saint Francis, Fort Wayne, with a double major in Political Science and American History. While attending USF, Joe served as student body President and founded USF’s chapter of Democracy Matters, a student group focused on campaign finance reform. Joe was hired as the Ordinance Violations Bureau Clerk after serving as the city council secretary and Clerk’s executive assistant, providing administrative and paralegal support to the Clerk and Council. Graham Sparks serves as secretary to Clerk Fowler and the South Bend Common Council. Graham is responsible for enabling an efficient relationship between Clerk Fowler, the Common Council, and the citizens of South Bend. Graham earned a Bachelor of Arts degree in Political Science and a minor in Philosophy from the University of Wisconsin Oshkosh. During his collegiate journey, Graham served as a Residence Advisor and Vice President for the student body. Though being born in Waukesha, Wisconsin, Graham was eight when his family moved to New Zealand. Upon returning to the States, Graham spent his middle school and high school years in Rochester, Minnesota. He is a proud product of the American Legion Boys State and Boys Nation programs and is honored to be serving in municipal government. The role of City Clerk is often misunderstood. So, what exactly does the Clerk's Office do for you? Find out now!